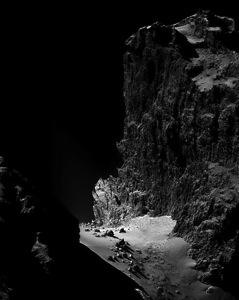 Actually, I’m lying to you, they’re the Cliffs of Comet Churyumov–Gerasimenko, as photographed by the Rosetta spacecraft. I just think its cool similar they look, and how the physical processes which created the Cliffs of Moher may also have been at work on a comet. Which we sent a spacecraft to go photograph.